Despite the intense amount of time that goes into planning your wedding day, the actual event seems to slip by so quickly! If you want to make sure that you capture every moment to relive again and again, you're going to want to add a talented videographer to your wedding vendor team. Today's Spotlight On post focuses on two videographers who can help you do just that. 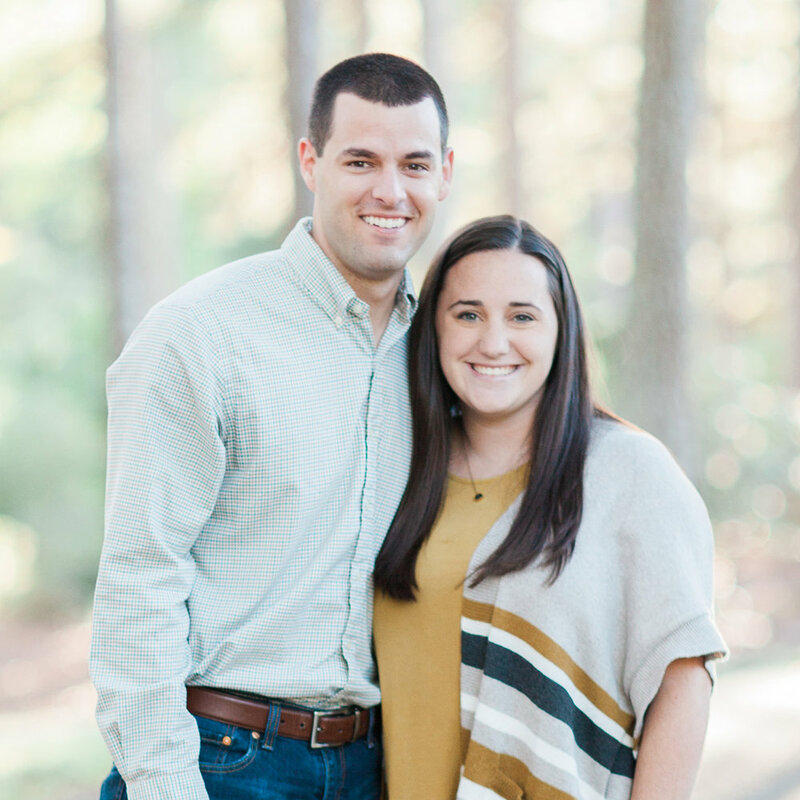 Since starting their business in 2017, Kathryn and Chas Williams have shot wedding videos for their clients all over the Upstate. 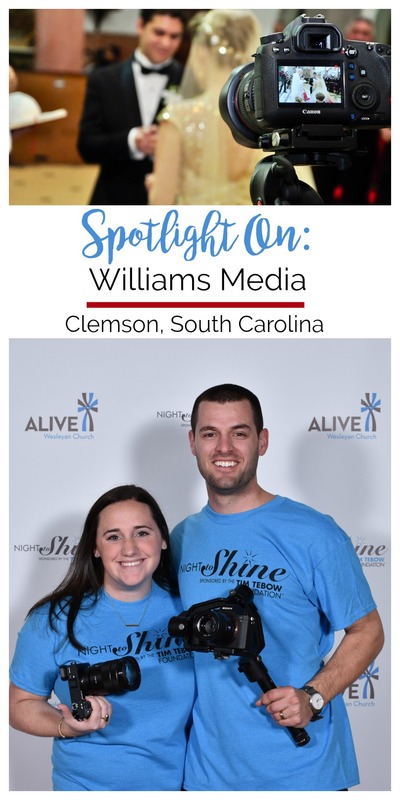 Chas, who works for Clemson University creating media content, is the lead videographer while Kathryn, a kindergarten teacher, keeps the team on task and focused. Let's take a look behind the scenes of their growing business to learn more about their leap into entrepreneurship and why they love the Upstate so much. After planning our own wedding in 2017, we quickly realized the importance of producing relationships with clients and strive to creatively capture one of the biggest days in someone's life. We had not really thought about being in the wedding industry until we saw the value that our vendors provided to us and wanted to do the same for other individuals. Our wedding experience led us to this industry, so the most important aspect of succeeding in our opinion is to not be afraid of drawing inspiration from your own experiences. If you see something that you really like, find a way to make it better, and if you see something you didn't like, don't let it happen again. We also think it is important to find a way to add value to your work every day. A friend of ours has always told us that you can't tread water forever, and at some point, you have to start swimming forward. Drew & Katie Smith from Williams Media on Vimeo. The biggest thing when booking a videographer is that you aren't just booking someone to take a video. Our videos are much more than pressing a button or setting up a tripod: they capture and creatively showcase such an important day in your lives. Developing a relationship with you is extremely important to us because you are booking someone who is going to be with you the majority of your day and you should feel free to be yourself around us and let us capture the real you. We like living in the Upstate because we are less than an hour from the mountains, we can spend the day at the lake, and we are a short drive from the beach as well. Being able to work in a place that has so much beauty adds a different element to our work that we love capturing. This past December we decided to gift a wedding video package to one of our family members. It was rewarding to see the joy that our work was able to bring to an entire family, not just a bride and groom. Often, we hear positive things from our clients about our videos, but being able to produce the work and also experience the reactions of our loved ones watching it for the first time was a cherished memory in our career.